Sociology offers fascinating insights into social life that tell us so much about people and society. But what can we do with those insights? How can we put them to good use? That is exactly what this book is all about. It explores the practical value of sociology, how sociological understanding can be of help in a variety of settings. 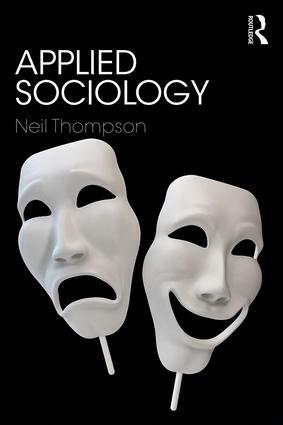 Neil Thompson’s wealth of experience in using sociology in practice comes shining through in this clearly written and accessible text that succeeds in conveying complex ideas without oversimplifying them. Key concepts are explained and clear links are drawn with how the ideas can be used to inform professional practice and cast light on a wide range of situations across all sectors of working life, and in our personal lives too. So, whether you are involved in the helping professions or any other occupation where success depends on having a good understanding of people; a student of sociology wanting to put your learning into practice; or simply interested in how sociology can help address social issues, this book offers a solid foundation of understanding. It is an ideal text for anyone seeking to use sociological ideas to make a positive difference.